In the latest edition of HOH&apos;s Fictional Franchise, in which we examine fictional characters and the real-life people who represent them in Congress, we took a look at our favorite heroes and heroines from childhood. And in what is probably one of the greatest thrills to be had in life, a special celebrity guest contributed to this column (via her assistant): Judy Blume. The rules go like this: We decide where a fictional character lives and then look up who represents them in the House. (See more here.) We welcome any dispute with our assessments in the comments section below. There is no more iconic young adult character than the pre-teen sensation that is Margaret Simon. Still, we did not feel like this was enough evidence to issue a final conclusion. We simply would not publish this story without confirmation straight from the source. "She [Blume] thinks she envisioned it as Westfield (at the time Judy lived in Scotch Plains)," Blume&apos;s assistant, Peg Owen, wrote in response to our query. This puts Margaret just barely into Lance&apos;s district. The dawnzer lee light breaks for Ramona in the City of Roses. 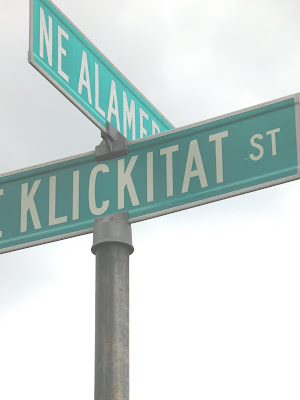 Klickitat Street? It&apos;s real. So is the park where Henry Huggins dug up all the worms. There are even statues of Ramona, Henry and his dog, Ribsy, at Grant Park. And to our complete and total awe, the Beverly Cleary School is located just a few blocks from the park. About six years ago, the Los Angeles Times did a thorough write-up of Cleary&apos;s — and Ramona&apos;s — world. The Ingalls family pretty much faced a perpetual living hell as they moved west on the American frontier in the late 19th century. The encroachment of society, literal plagues, (likely) viral meningoencephalitis, government-forced eviction and Nellie Oleson kept the Ingalls family on the move. Finally, they settled in De Smet. Even there, life was not easy. They nearly starved to death during "The Long Winter" of 1880-81. But amid the misery, De Smet is where Almanzo Wilder courted and fell in love with Laura. Tracking the Ingalls is a bit of a cult, and there are museums everywhere they lived. In our eyes, though, Wilder wrote more books about De Smet and therefore it is our determination that it has the best claim on Laura. But Laura and Almanzo left a bit of themselves everywhere they went. Those places include: Little House in the Big Woods (Democratic Rep. Ron Kind of Wisconsin) Little House on the Prairie (Republican Rep. Lynn Jenkins of Kansas), On the Banks of Plum Creek (Democratic Rep. Collin C. Peterson of Minnesota) Farmer Boy, (Democratic Rep. Bill Owens of New York) On the Way Home (vacant — formerly Republican Rep. Jo Ann Emerson&apos;s Missouri district). This is Nadler&apos;s first official appearance in the series, but we expect him to make many more. Manhattan&apos;s West Side bursts with franchised fictional heroes. Among them is the frustrated narrator of the Fudge series, Peter. Sure, the Hatchers took a sabbatical in Democratic Rep. Rush D. Holt&apos;s 12th District in Princeton, N.J., during the year of SuperFudge, but it is Nadler&apos;s district that is home for Peter. And the location puts Peter and his best friend, Jimmy Fargo, in close proximity to their regular hangout at the rocks in Central Park. The irony of Eloise is that she once terrorized the employees of The Plaza. Now they celebrate her. If especially obsessed, one can throw a "Eloise Birthday Party" at the hotel. Eloise joins Holden Caulfield as a Maloney constituent. Tony&apos;s story is essentially the male version of "Are You There God? It&apos;s Me, Margaret." But while Margaret struggles with religion, Tony&apos;s anxieties stem from the culture shock of moving from gritty Jersey City, N.J., to ritzy Rosemont on Long Island. "[Blume] said that Tony&apos;s Rosemont is Roslyn, where a friend of hers lived," Blume&apos;s assistant Owens wrote us. Israel also represents Jay Gatsby of West Egg, N.Y. We can&apos;t tell if the Migliones are Republicans or Democrats. So, when Tony turns 18, he will vote for Israel. Then again, maybe he won&apos;t.